Training Industry continuously monitors the training marketplace looking for the best providers of services/technologies in support of corporate learning and development. This first annual list is designed to help buy-side organizations in their search for health and safety training partners. 360training.com is an accredited training provider offering training courses and acclaimed certifications in a wide range of courses. The specialized offerings include health and safety, food safety, drug abuse related issues and OSHA compliance courses. UL EHS Sustainability empowers organizations to protect the well-being of workers, reduce risk, improve productivity, enhance compliance, and drive measurable business improvement through its EHS, learning, occupational health, environmental, supply chain, sustainability and corporate social responsibility platforms. NAVEX Global was formed in 2012 by the joining of four GRC industry leaders with histories leading back as far as 1981. With the acquisition of a fifth solution in 2015, NAVEX Global now provides the comprehensive ethics and compliance software platform. SafetySkills is an e-learning provider in the HR compliance, environmental, health and safety market. It offers a comprehensive e-learning solution for business users to select and assign interactive compliance training to their employees. It has developed and deployed over 450 EHS online training titles for organizations in 16 countries and in seven languages. Skillsoft is a global leader in e-learning that builds technology and engaging content, including 165,000+ courses, videos and books. Whether starting out with basic regulation training or embedding compliance into your business strategy, Skillsoft can help identify the right learning content and approaches that will focus on behavior and culture change. CoreAxis delivers innovative, creative content using a combination of practical and pragmatic business performance consulting. Their e-learning frameworks are designed to transform information into engaging and interactive learning content that enables learners to apply best practices to the real-world. Driving Dynamics provides performance driver safety training for fleet-based organizations. It builds and delivers programs based on research, proven learning methodologies and expert instruction. Driving Dynamics is dedicated to improving drivers’ ability to stay safe by leveraging risk management tools, principle-based learning and applied techniques. Vector Solutions delivers continuing education (CE), training, technology and performance management solutions to a broad range of industries. Those include architecture, engineering and construction (AEC) sectors, as well as industrial, facilities management, public safety, IT and education fields. KPA offers online training courses in Environmental Health & Safety, Human Resources Management, and Sales and Finance Compliance. Their goal is to help clients achieve regulatory compliance, control risk, protect their assets, and effectively manage their employees. Convergence Training produces revolutionary workforce training courses and software designed to help tackle tough industrial skills and compliance challenges. 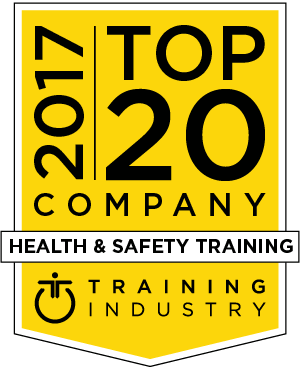 Convergence Training's health and safety training videos are based on industry best practices and international standards established by OSHA, the EPA, and other leading safety organizations. DuPont Sustainable Solutions is a learning provider that empowers organizations to transform business results through the development of a safe, efficient and capable workforce. DuPont's comprehensive SCORM compliant courses cover four key content areas: safety, human resources, maintenance and reliability, and healthcare. Axonify is an Employee Knowledge Platform. It combines microlearning with innovative knowledge-on-demand capabilities and the entire experience is gamified, driving high levels of participation. Axonify engages employees in learning that leads to safe behaviors and creating a safety culture that drives down incidents. Through value-driven solutions, from career training solutions and consulting to specialized engineering services, GP Strategies helps companies navigate the life sciences and healthcare landscape with solutions such as custom content development, learning and training outsourcing, and more. Ej4 closes the gap between potential and results with online, on-demand video solutions. Ej4 offers both off-the-shelf and custom short-form, engaging content in topics including compliance training and safety. The Health & Safety Institute delivers high-quality training materials, courses and programs in CPR, first aid and advanced emergency care to health care professionals, first responders, employees and the community. HSI is also a nationally-accredited organization in Emergency Medical Service (EMS) by the Commission on Accreditation of Pre-Hospital Continuing Education (CAPCE). ThinkHR combines the best in human resources expertise with innovative online technology to deliver trusted HR knowledge solutions that enable organizations to thrive. ThinkHR’s compliance training platform includes high-quality content, easy administration, and certificates and reports. BizLibrary is a leading provider of online employee training solutions, including micro-video lessons, video courses, interactive videos and e-learning courses on topics including HR compliance, workplace safety and heath. TrainingToday is a leading provider of online training and educational programs for the management, supervisors and employees of an organization. TrainingToday operates under the BLR umbrella, Business and Legal Resources. They aid companies in simplifying their compliance with state and federal rules and regulations. Raytheon Professional Services is a global leader in learning services that brings a consultative approach to working with clients across a wide range of industries and global markets. Training solutions include energy training, health care training, compliance training and safety training.